Enjoy premium appliance repair in Guildford now! Contact us for your dishwasher, dryer, oven, fridge, washing and machine repair needs. Is your home appliance not working properly? Is it running slow than it usually does? Perhaps, it’s producing unusual noises? Or worse, is it completely damaged? Are you shelling out extra money at the launderette? Wasting food because it is becoming spoiled? Hand washing cookware? Or counting on eating takeaways as you have not attended to the repairing demands of your home appliance? Are you concerned about how much it’ll cost you? Can you picture coming up to a sketchy technician who can’t distinguish the difference between Samsung and Bosch? 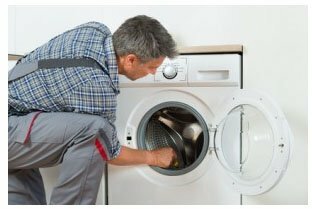 Are you thinking of fixing it yourself but you understand you might injure yourself or result in more issues to the appliance? Don’t carry on with this trouble any longer! Give the Home Appliance Doctor a try now and let our pleasing, certified expert specialists to fix your appliance correctly for a lesser cost than you could have thought. So, no matter the mechanical or electrical trouble with your washing machine, refrigerator, dishwasher, oven, dryer or other appliance, we’re the specialists you must phone to get your home running smoothly once again. We are here to help make your daily life simpler, getting up each day to a well functioning laundry and kitchen. We are a local company dedicated to supplying the best class of repair services for landlords, property executives, personal owners of homes as well as for commercial businesses in Guildford along with its adjacent areas. We’re proud to say we’ve always delivered very good experience when it comes to customer support. We’ve also continually given reliable repair services based upon affordable rates for several years! Our reputable business and its proficient staff were taught expertly, are certified, insured and are laced with knowledge when it comes to major models and appliance manufacturers. They go through regular updates on specifications, new technologies as well as repair improvements for appliances. Our workers are extremely approachable and friendly; they understand where you come from when a very important home appliance has given up on you. You’ll find a lot of appliance brands which we have expertise in – these include appliances from companies such as Bosch, Westinghouse, Samsung, Whirlpool and Maytag. Our business will cater your repair demands fast since we have a mobile fleet that serves its purpose exceptionally well – this means we can instantly aid you even when it is of a short notice. In addition, our website is very responsive in booking repair appointments that will work best with your time. The Home Appliance Doctor is fast and trustworthy. We will not keep you waiting around. After you call, we assess your issue right away and dispatch a repair specialist to your home. 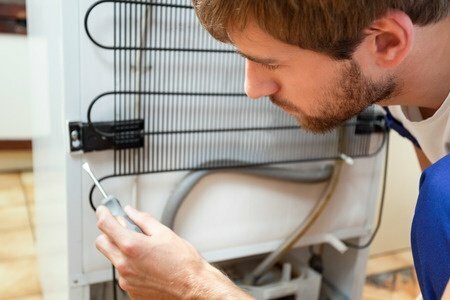 Your valued appliance is going to be extensively assessed to determine the specific cause of the problem and a quote of the repair service fee is going to be presented to you for your approval ahead of any kind of work commences. Then, our specialists will get to work after you have accepted the costs. In the case wherein the problem is minimal, the repair will occur straight away on the day you called. However, when the problem is more serious, our technicians will have to come back to your house with the required parts. Also, we provide warranty to the appliances which our personnel work on. We’re focused on client satisfaction, so if you’re in Guildford and require an appliance repaired, call The Home Appliance Doctor. Today, washing machines are a very important piece of the house. In the event of this appliance breaking down, it may cause extensive trouble of a home’s workflow. It’ll then be needed for clothing and beddings to be hand cleaned or be taken to a laundrette. Needless to say, as a client, you’d prefer this washing machine to get fixed quickly and this is exactly why our company seriously invests in diagnostic devices that will aid in discovering appliance problems before any type of repair takes place. 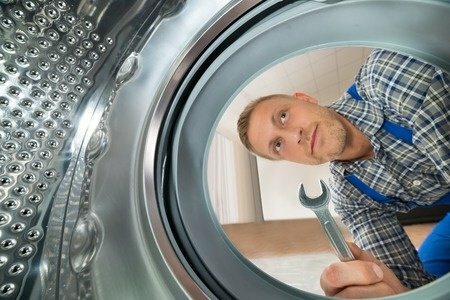 We are up for any task on washing machine repairs – we cater to popular brands such as Westinghouse, Whirlpool, Samsung, Maytag and Bosch. No individual finds manually washing the dishes fun! 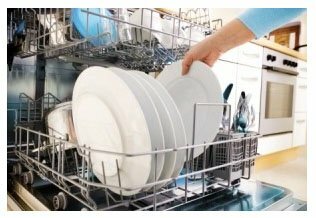 So, in case whereby your dishwasher comes to an end, get in touch with The Appliance Repair Doctor – this will definitely help you avoid family discussions concerning whose turn it is to carry out the dishes! Repairing a dishwasher may appear daunting, but our expert specialists may easily analyse and repair almost all problems. Usual issues include leakages, inability to start, noisy operation, not draining correctly, inability to fill with water, failure to dispense detergent, not properly cleaning or drying out plates and door lock problems. We can easily repair all these problems for you. We specialise in and provide assistance for Bosch and other dishwasher repair requirements! Most households own a refrigerator to keep their perishable food. One common concern is a busted thermostat and a blown fuse causing the fridge to power down. When your fridge is not working properly, you’ve got a possible disaster on your hands. Time is of the essence, in order to avoid the cost of spoiled food. Therefore, when you realise that you’ve got an issue, get in touch with our refrigerator repair team. Our professionals are dependable and fast, and can help save your refrigerator – and its contents! They can even inform you on tips to avoid the complications recurring. We provide refrigerator (and freezer) repairs of all the major fridge brands (like Westinghouse, Bosch, Maytag, Whirlpool and Samsung). We can also take on commercial refrigeration repairs for most businesses. 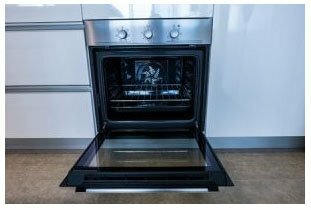 We analyse and fix all types of ovens and stoves (electrical and gas), checking for common complications including broken gaskets, doors as well as heating element failures, which may include a broken coiled surface element and malfunctioning of surface element panel switches and relays. Our company offers repair service for microwaves, dryers and all other household appliances – even those that require electrical repairs. We also offer maintenance services and appliance inspections. We can recommend excellent methods of maintaining the home appliances and we also are equipped for setting up brand new home appliances for your home. Whatever kind of repair needs you require, so long as you are in Guildford, give the professional doctor a ring in order to examine and cure the problem quickly! We will assure you will get a fully-functioning equipment as soon as possible. Call today and we will get you fill out a form. Guildford is a town that is quite big in its landmass and situated in Surrey, England. It is located 27 miles southwest of central London. Its postal code is 2161. It has the second largest population of Surreys eleven districts. There are several tourist attractions in Guildford Some of it includes Swan Valley Perths Valley of Taste and the Guildford Heritage Walk Trails. Furthermore, it is also a good thing to vist Guildford Village Pottery and Woodbridge House. St. Matthew’s Anglican Church is one of the remarkable churches that you can visit. It is advisable for visitors to visit the Swan Valley Visitor Center for assistance.